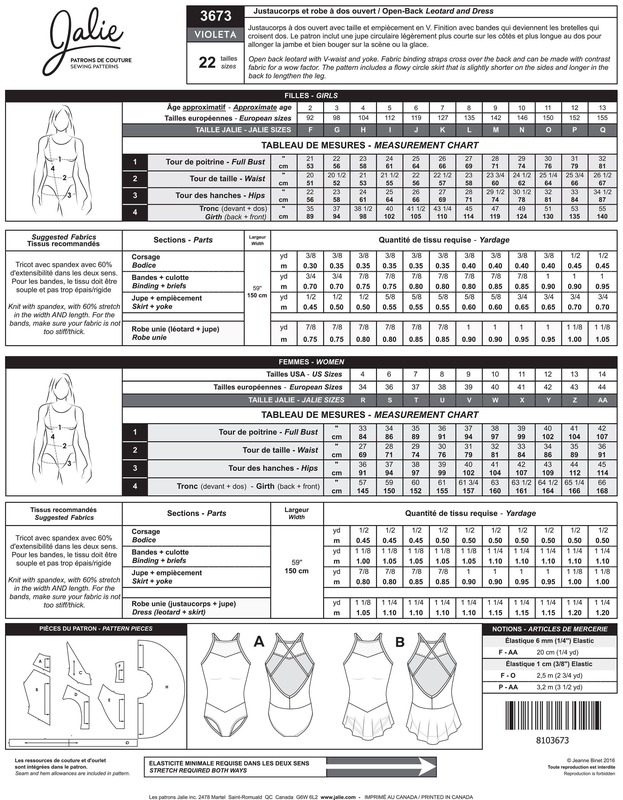 Package includes patterns and instructions to make Jalie's VIOLETA Open-Back Leotard and Dress. Open back leotard with V-waist and yoke. Fabric binding straps cross over the back and can be made with contrast fabric for a WOW factor. The pattern includes a flowy circle skirt that is slightly shorter on the sides and longer in the back to lengthen the leg. Great for Figure Skating and Competition Dance! Thank you for shipping fast.